Blake McGlashan - back at school this week and a world champion. “We didn’t know how we’d go. We thought if conditions were perfect, we might get a medal, but to win was a pleasant surprise,” Blake McGlashan admits when reflecting on his victory alongside Seb Menzies at the 420 Sailing World Championships in Newport, USA. Sailing against 73 crews, many of whom were adults, Menzies (13) and McGlashan (15) cleaned up the open division beating Spanish pair Elias Leonard Aretz Queck and Pablo Garcia Cranfield by 48 points. The Kiwis sailed consistently all week, winning five of their 12 races, including two in gold fleet, and only once finished outside the top six. Just how old and tough were the competitors? “We met the Spanish pair and they were really friendly, but they would have a smoke after the race,” McGlashan innocently laughs. The build up to the World Championships in the USA wasn’t easy for McGlashan and Menzies. Practice in the winter was largely restricted to weekend sessions at Murrays Bay. “Winter in Auckland isn’t ideal for sailing so it was tough to get regular practice. We were lucky we left Auckland on July 31 and the regatta started on August 10 so we got a few extra days practice in Newport,” McGlashan reveals. Menzies and McGlashan have made rapid progress. They were 41st - and fifth of the New Zealand teams - at the 2017 420 world championships in Perth over the New Year. 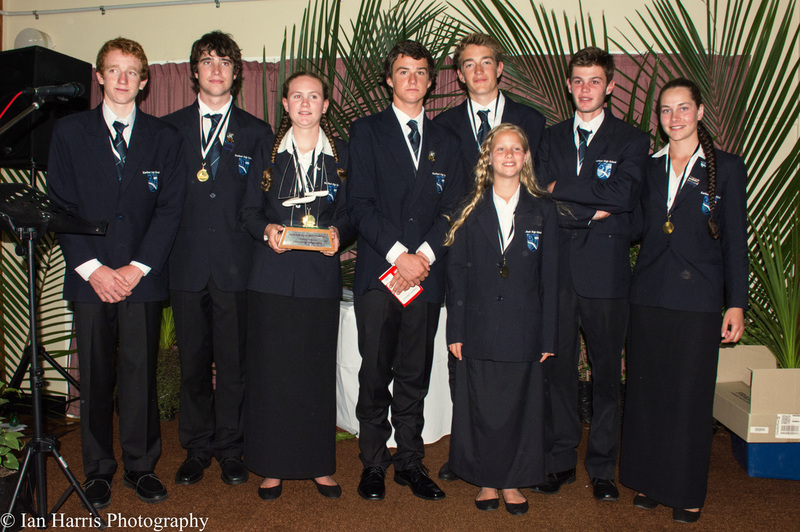 They then won selection as New Zealand's entry at last month's youth sailing world championships in Corpus Christi, finishing a very credible fifth. Conditions in Newport were mostly sunny with gusts of less than ten knots. The first race of the regatta set the tone. “We did well in the first race. When we knew we could get off the start line well and had good speed, it was a great confidence booster.” McGlashan said. The pair decided to ignore the standings for the remainder of the regatta, but was forced to take notice when a stranger burst their bubble. “Some random guy came up to us and told us we had a decent gap over the rest of the field. When we found that out, we just wanted to be calm and get a good start and finish the last race.” McGlashan explained. McGlashan was previously a solo sailor, but teamed up with Menzies because of a preference for double handed sailing. Olympic champion Peter Burling is a past 420 world championship in 2006 and 2007. His partner in those campaigns was Carl Evans. Jo Aleh and Polly Powrie (2007) and Alex Maloney and Bianca Babrich-Bacher (2009) were female world champions. Blake is part of the Westlake Boys’ High School Premier Sailing Team who are competing in the Inter Dominion Championships against Australia in early October. Note: Points are awarded after each race with a low score the best result - 1 point is awarded for a win. Races typically last between 40 minutes and an hour.